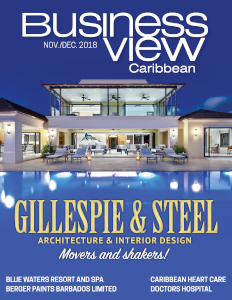 Business View Caribbean interviews representatives of Doctors Hospital as part of our focus on healthcare options in the Caribbean. 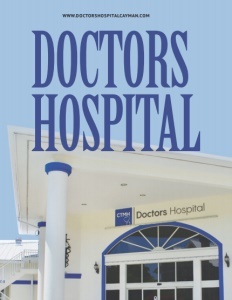 CTMH Doctors Hospital (formerly the Chrissie Tomlinson Memorial Hospital) is a private, for-profit hospital centrally located in George Town, Grand Cayman, just minutes from the Owen Roberts International Airport. 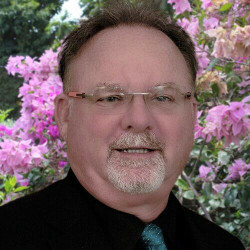 It was founded, and originally owned, by Dr. Steve Tomlinson, a Caymanian physician and general surgeon who expanded his small clinic into a hospital in 2000, and then sold it to a group of doctors, employees, and investors in 2016. Today, Doctors Hospital is an 18-bed, acute care, medical/surgical facility dedicated to providing exceptional health care to the Cayman Islands. Doctors Hospital provides the following medical services: Anesthesiology & Pain Management, Breast Health, Cardiology, Diabetes Services, Family Practice & Primary Care, Gastroenterology, Gynecology & Obstetrics, Laboratory Testing, Maternity Services, Men’s Health, Nutrition Services, Oncology, Orthopedics, Pediatrics, Pharmacy Services, Physical Medicine & Rehabilitation, Plastic Surgery, Podiatry, Radiology, Surgical Care, Urgent Care, Urology, and Women’s Health. “We have about 105 employees, and our staff comes from a variety of places,” says Hospital Administrator, Dr. Patrick Auman. 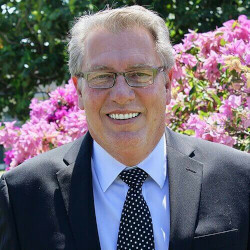 “We do have many local folks; the second largest area that staff comes from is Jamaica; we have a considerable number of people who come from the United Kingdom, as well. We have visiting cardiologists, oncologists, and urologists, and we have a visiting reconstructive surgeon. “Most of them are first-world medicine trained doctors with specialty degrees from the U.K. and the U.S.,” adds Chief Pharmacist, David Pellow. When the new ownership group bought “Old Chrissie” in 2016, it went through a total rebranding process – along with the name change, and some reconstruction of the physical plant, it added new services and physicians. And, according to Pellow, those changes and investments are ongoing. “Since we took over the hospital, we reopened the maternity unit, so we’re putting a special emphasis on women’s health with additional OB/GYN and Pediatrics. That’s a brand new aspect.” In fact, Doctors Hospital has the only private maternity suites in the Cayman Islands. Check out this handpicked feature on North-East Regional Health Authority – Jamaica.